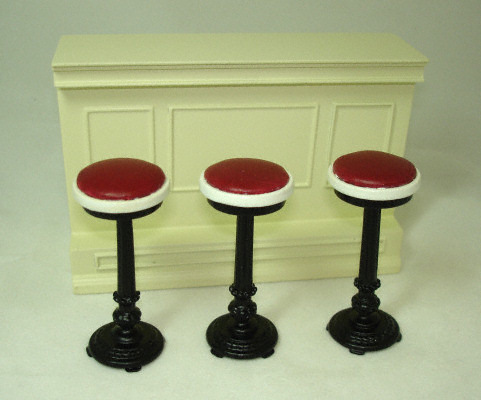 Won't this miniature soft upholstered red counter stool be perfect for your dollhouse soda shop, diner, or bar? The counter is not included, but we do have it available to complete the look. The stool is 2 1/2" high. The seat is just over 1" across.